With Syria on the shortlist for counter terrorist strikes, Syrian war hamsters, or Golden Martyrs are being radicalised and trained by I.S. executioners to gnaw off the heads of sleeping American and British aid workers according to Spoof's secret Agent, Brian Crabshaw, who is posing as an undercover Doner Kebab chef at Abanazar's Kebabs, 64a, Ali Baba street, Damascus. H.R.H. Prince Philip has expressed an interest in personally shooting Syrian hamsters with drugged darts, so that they can be dropped from special drones over rogue parts of Syria to kill the evil, deadly executioner hamsters. Rumours that the darts are to be drugged with blood samples taken from Royal race horses are said to be untrue. The hamsters do need a bit of special care. Their long coats should be groomed with a toothbrush to prevent matting (or very gently with a flea-comb as not to scratch their skin). This should be done about twice a week or before covert operations. One of President Obama's longhaired males used to sit on his lap with his back feet stretched out while Michelle brushed his coat - some Syrian hamsters love being brushed. If you have a longhaired counter terrorist hamster that does not like being brushed and the hamster is not being trained for covert operations or Special Air Service work, it is probably best to trim the coat gently with round -ended scissors back to about an inch (2.5cm) in length. If the hamster does not like being brushed and is being shown take a little time every couple of days just to gently brush a tiny bit of coat and offer a really tasty treat as a bribe! Eventually the hamster will associate brushing with treats and will tolerate the toothbrush. Longhaired undercover Syrian Hamsters should not be given a wheel as they get their coats tangled up in the wheel causing considerable distress and possible injury. 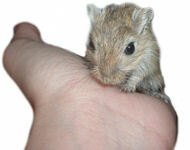 Remember that indiginous Syrian Hamsters are a protected and endangered species.